Well what a great day was had by all! It started off with a very early rise for everyone involved (the bus left from the school grounds around 5.50am to transport the group to the airport). 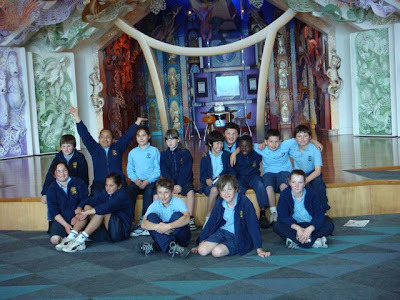 They arrived in Wellington in time for breakfast and from there they were taken on a guided tour and lunch at Te Papa. They also had a ride on the “High Ride” and visited several of Te Papa’s Discovery Centres. The highlight of the afternoon was a great tour of the Rugby Union Headquarters where the group were shown some very fascinating memorabilia and given a very interesting tour and talk. 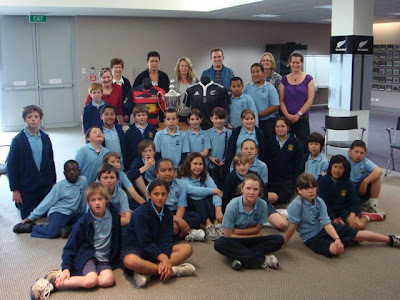 They were fortunate enough to be able to have their group photo taken with the Tri Nations Cup and some of the students even had their photo taken wearing on of the gold medals recently won at the Commonwealth Games. 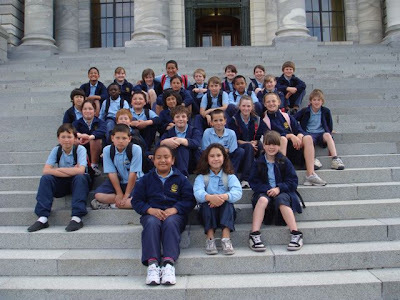 The group later travelled to Parliament and although there was not time for a tour of the buildings they did have their photo taken on the steps of parliament buildings and were able to view the beehive and have a picnic afternoon tea on the Parliament lawn. A short walk from parliament took the group to the cable car where they had a trip up the hill to the botanic gardens. 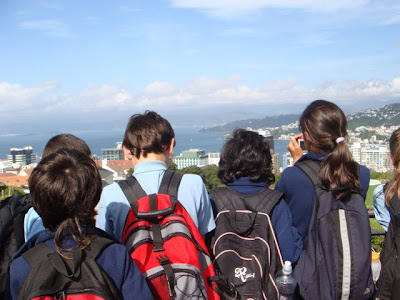 This gave the group a chance to have a walk around to enjoy the marvellous Wellington weather and to take in the fantastic views from the top of the hill. After having their evening meal at McDonalds the group were transported back out to the airport to await their flight back to Christchurch. As many parents will already be aware, a group of very happy but tired students arrived back in Christchurch after having spent a day in Wellington. We know that the memories of this day will be a highlight in their lives for many years to come. 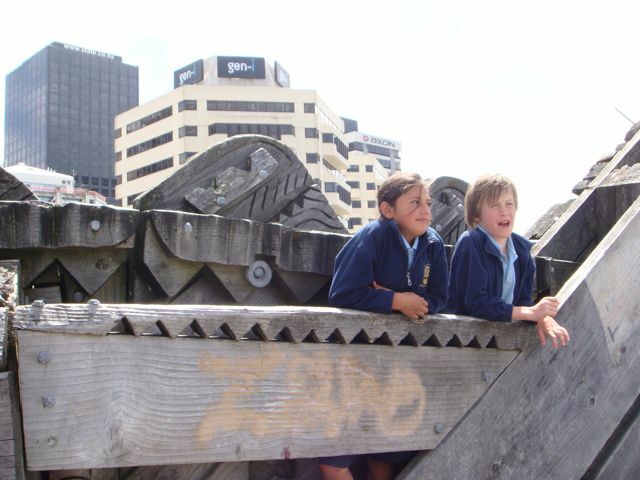 All the students must be commended for their behaviour on this trip. They were all in Wellington as ambassadors for our school and they certainly represented us well at all times. We would especially like to thank Shirley McDonnell for the tremendous amount of time and effort she put in once again to plan and book this trip for our year 6 children. Shirley’s organization was superb down to the last little detail and this certainly ensured the success of the whole day.